The Minister for Children and Youth Affairs has commenced the remaining provisions of the Children First Act, 2015 from 11 December 2017. 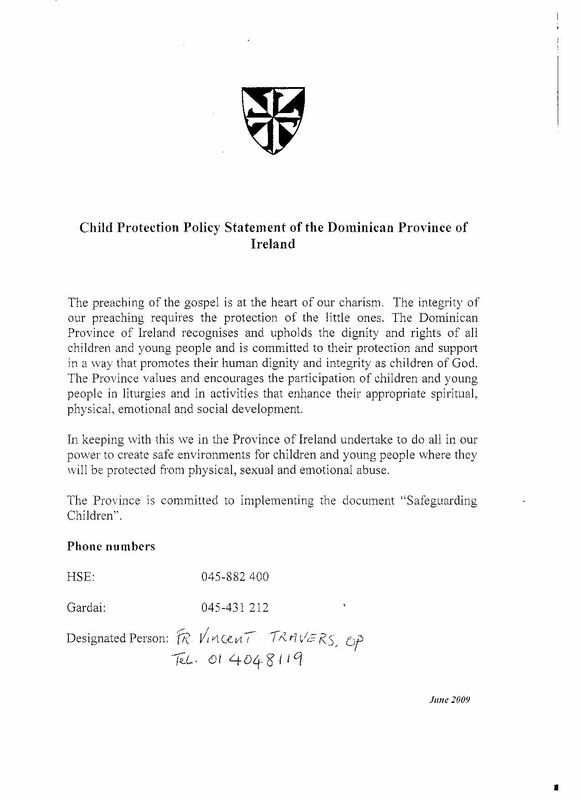 The Children First: National Guidance for the Protection and Welfare of Children 2017 published on 2 October 2017 also became operational on 11 December 2017. The commencement of the Children First Act, 2015 and the publication of the new Children First: National Guidance for the Protection and Welfare of Children 2017 has necessitated changes to the existing Child Protection Procedures for Post-Primary Schools. New Child Protection Procedures for Post-Primary Schools, 2017 have been developed and published by the Department of Education and Skills following an extensive consultation with the education partners. All of the requirements of the Child Protection Procedures for Primary and Post-Primary Schools 2017 and those relating to our school’s Child Safeguarding Statement, now apply to all school personnel and school authorities. The current Designated Liaison Person (DLP) is Mr. Pat O'Brien – Principal and the current Deputy Designated Liaison Person is Mrs. Alison Bradshaw – Deputy Principal. The staff of Newbridge College have engaged with CPD on the new Child Protection Procedures for Post Primary Schools 2017.